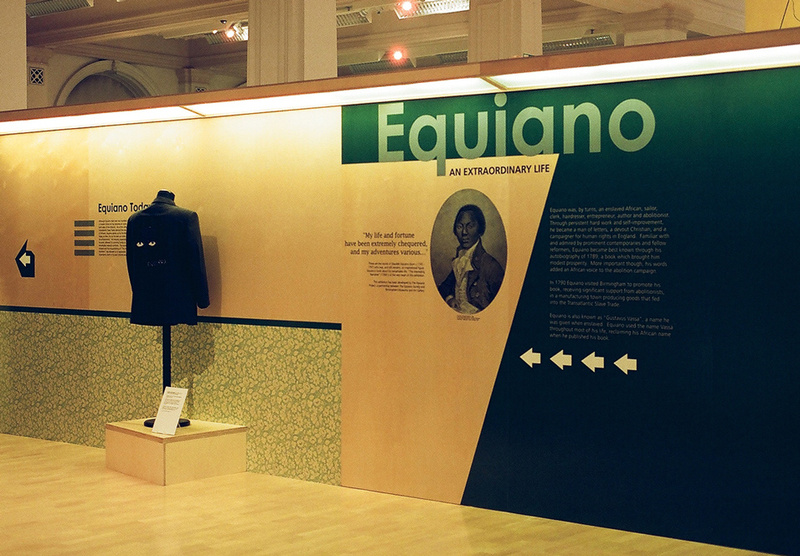 Based on his book The Interesting Narrative this exhibition celebrates the life and times of Olaudah Equiano. 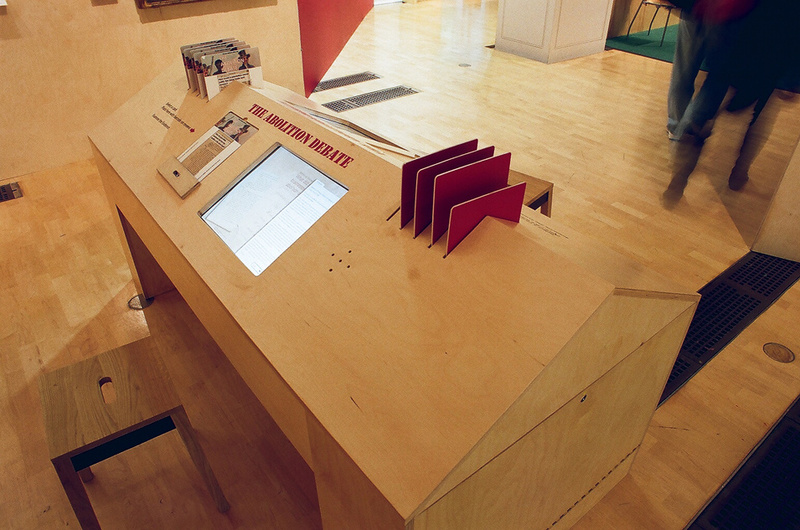 A strong graphic treatment printed directly onto plywood panelling forms a dynamic backdrop to over 100 artefacts. 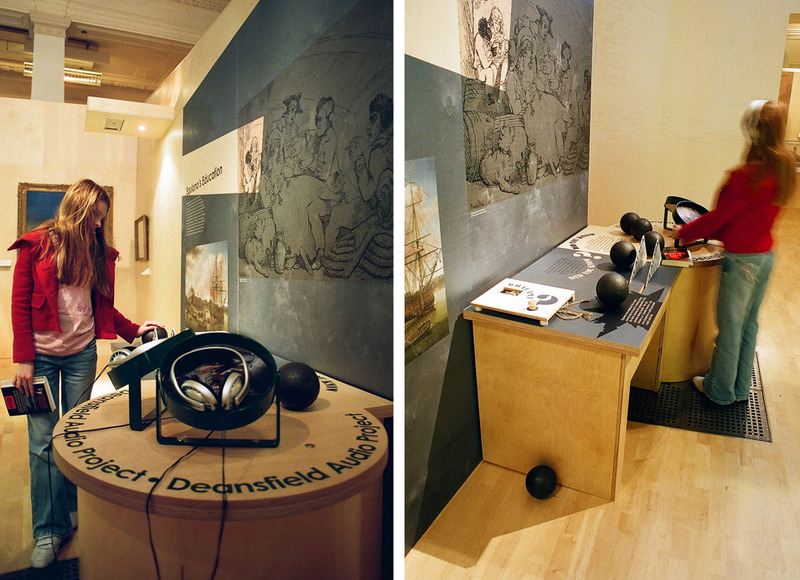 Equiano's life is depicted as a series of powerful linocut illustrations located at key points, drawing the visitor through the gallery. 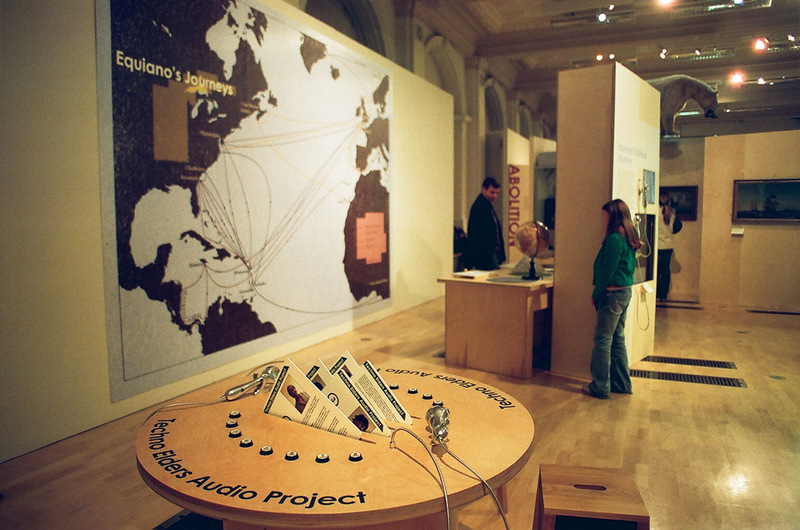 Artist-led community projects are integrated within the exhibition. 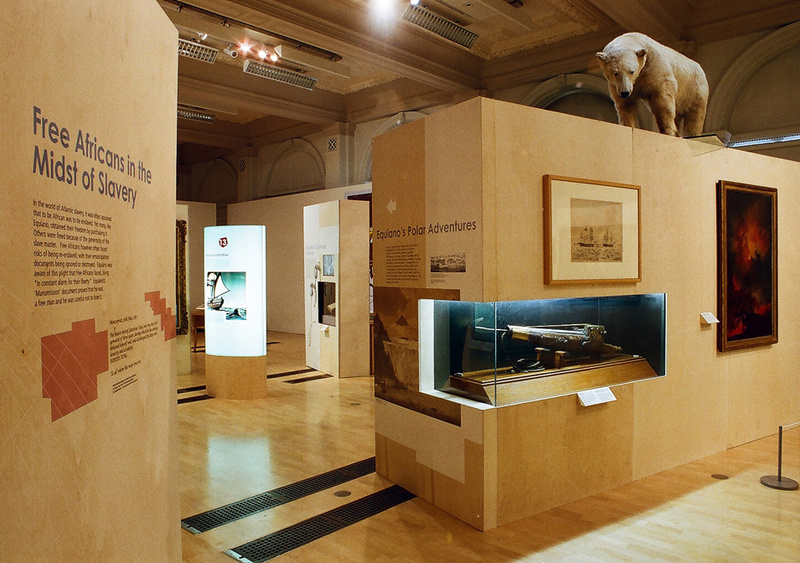 We also designed two travelling exhibitions that toured to venues throughout the UK as well as a comprehensive education pack to accompany the project.